BCode is used to activate the your device for connecting into BonusCloud. 1.Because the network environment is different, BCode is divided into mainland China/non-Chinese mainland. 2.Non-Chinese mainland can not activate equipment in mainland China with BCode. 3.Each account can receive 1 BCode per hour. 4.Each account can receive up to 10 BCodes per day. 5.The maximum number of lists for each type of BCode per account is 5. 6.After BCode is received, if the account has a binding device, it will expire for 20 days. If the account has no binding device, it will be invalid for 10 days. Step 10 After sign-in, search for the device and bind the device. Step 11 Click the down arrow to choose BCode you get according to your location (Mainland China or Non-mainland China) and bind the device. 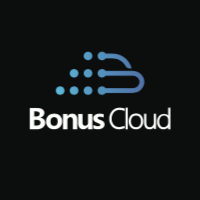 Step 12 Check your device already bound in “Hardware List” when you sign in via BonusCloud’s website.